Help is a click away. Enroll in the Acri Home and Appliance Protection Program. 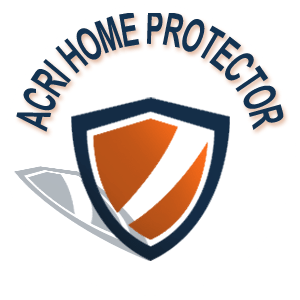 Acri Community Realty has created the Home and Appliance Protection Program. Our home protection plan is a renewable service contract that covers the repair or replacement of many of the most frequently occurring breakdowns of appliances, heating and cooling units, water, sewer and gas lines. Let the Acri Home and Appliance Protection Program save you time and money. 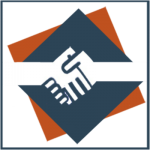 Allow Acri to assist you by sharing their extensive network of contractors and qualified technicians. Not only will Acri help find the most qualified individuals to solve your home and appliances problems, but the Acri Home and Appliance Protection Program is a renewable service contract that helps to cover the the costs of repairing or replacing many of the most frequently occurring breakdowns of appliances, heating and cooing units, water, sewer, and gas lines. Acri Community Realty knows that a home is one of the most important investments a person will make in a lifetime. It is a major asset that needs and deserves protection. Which is why Acri has created the Acri Home and Appliance Protection Program. The Acri Home and Appliance Protection Program can assist homeowners in the cost of repairing and replacing many of the most frequently occurring breakdowns at home. Broken appliances, heating and cooling units, water, sewer, and gas lines all can cause homeowners stress, money, and time. With the Acri Home Protection Program, homeowners can be assured that all will be mended and for a fair price. Furthermore, with options for coverage, the Acri Home and Appliance Protection Program can be tailored to each individual home owner. Enroll in the complete package or pick and choose what aspects of the home to protect. With an established network of contractors and technicians, the Acri Home and Appliance Protection Program offers more than just financial aid, reassuring Acri home owners that repairs are being performed by qualified and competent workers. The Acri Home and Appliance Protection Program is just one of the many programs Acri offers home owners. To ensure that Acri Homeowners have the best service available at all times, not just when breakdowns occur, Acri Community Realty has developed the Preferred Service Providers Program. This program features an extensive list of professionals working in varied fields that have provided excellent service to Acri Associations in the past, and continue to offer fair prices and strong work ethic. The Preferred Service Providers Program is one more way that Acri is taking the headache out of the contractor selection process. A number of the Acri Preferred Service Providers even offer discounts to homeowners belonging to associations managed by Acri Commercial Realty. The Preferred Service Provider list includes services such as landscaping, painting, electrical repairs, plumbing repairs and carpet care. Acri Community Realty knows that home ownership is daunting responsibility, and therefore provides more than just Home and Appliance Protection for homeowners. With the Acri Help Desk, homeowners know where to go for assistance in issues ranging from service requests, to choosing the right insurance policy. With the Acri Insurance Counselor, a homeowner will gain a knowledgeable guide to condo insurance coverage. Any homeowner whose property is managed by Acri Community Realty is eligible for the Acri Home and Appliance Protection Program. Acri Community Realty wants each and every homeowner to feel protected and safe at home. Home is more than walls, floors, pipes, and appliances and Acri recognizes the challenges of home ownership in a community association.